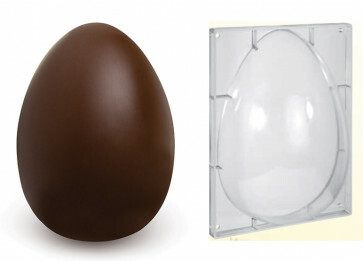 Polycarbonate mould Chocolate Egg 1500 gr. Egg dimensions : 253 x 368 mm. Dimensions mould : 290 x 390 mm. Height 22 mm.